After having tasted success in the Indian market, DataWind now eyes the US and UK market with its new budget Android devices - UbiSlate 7ci, UbiSlate 7C+ and UbiSlate 3G7. DataWind, the company behind the ultra low-cost Aakash tablets in India, has launched new devices in the U.K. market – UbiSlate 7ci, UbiSlate 7C and UbiSlate 3G7. Prices of the new UbiSlate devices are between GBP 29.99 (about Rs. 3,029) and GBP 129.99 (about Rs. 13,100). DataWind has also launched these devices in the US, with price starting at USD 37.99. "With recent figures showing that in the UK, 29 per cent of the poorest households have no computer and 36 per cent no internet, we’re working to bring affordable technology to the many hundreds of thousands of households excluded from benefiting from the digital revolution”, Suneet Singh Tuli, CEO at UbiSlate is quoted as saying. DataWind plans to deliver locally made devices in the US in the first or second quarter of the New Year. "Although we're not ready at the current time to deliver an American-made product, we continue to work hard to set up production in the United States," DataWind CEO Suneet Singh Tuli is quoted as saying. "We expect to be able to deliver locally made devices in the first or second quarter of the New Year." 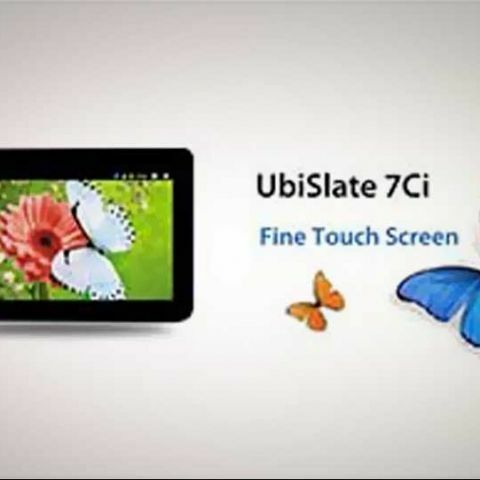 It's notable DataWind has already launched two of the three devices - UbiSlate 7ci, UbiSlate 7C - in India. The UbiSlate 7ci is a 7-inch tablet featuring 1GHz Cortex A8 processor, Android 4.0.3 OS, 4GB built-in storage, Wi-Fi support and mini-USB. It is available in India for Rs. 3,799. The UbiSlate 7C , also the company's recommendation for the next-gen Aakash tablet, features 7-inch display, 1GHz Cortex A8 processor, Android 4.0.4, SIM-slot and 4GB built-in storage. The tablet is priced at Rs. 4,999. 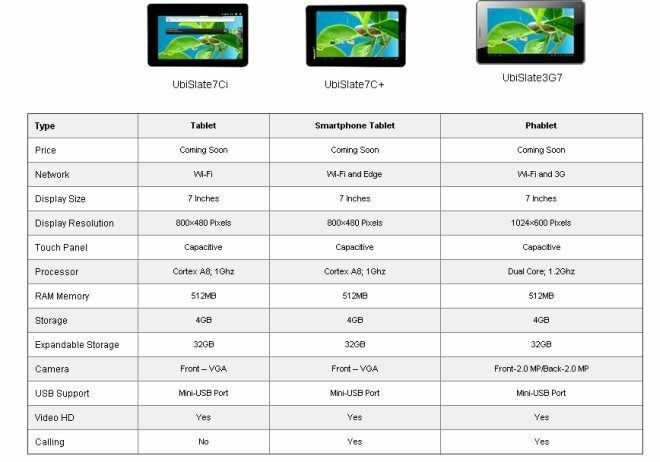 The UbiSlate 3G7, which was recently spotted on the FCC website, is a 7-inch tablet. It features Android 4.0.4 OS, Cortex A8 – 1.2GHz processor,512MB of RAM and 4GB storage. For connectivity, the tablet supports Wi-Fi, UMTS(2100), Bluetooth & GPS.